Book Online & SAVE BIG 24/7! 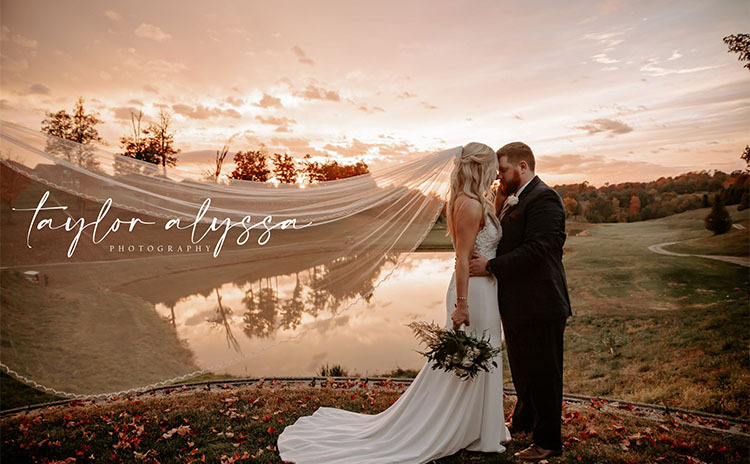 Pebble Creek's Event Center is the perfect place to host your special day. Enjoy the benefits of membership. View our Memberships for 2018! 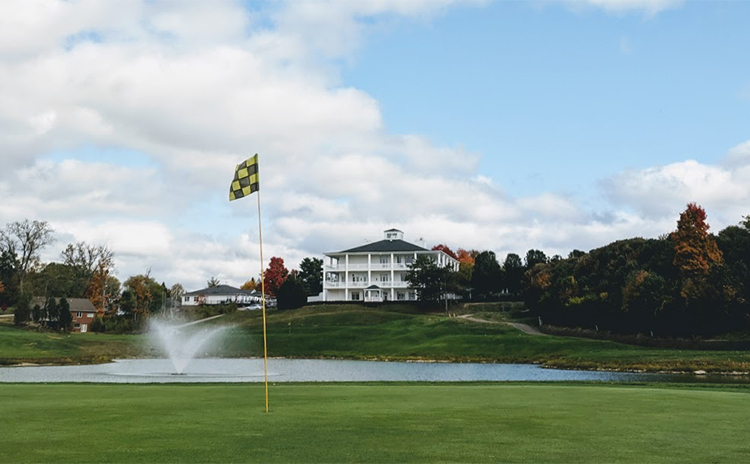 Pebble Creek is Cincinnati’s premier award winning golf course, restaurant and banquet facility. We are the perfect location for outdoor weddings, golf outings, business meetings and events. 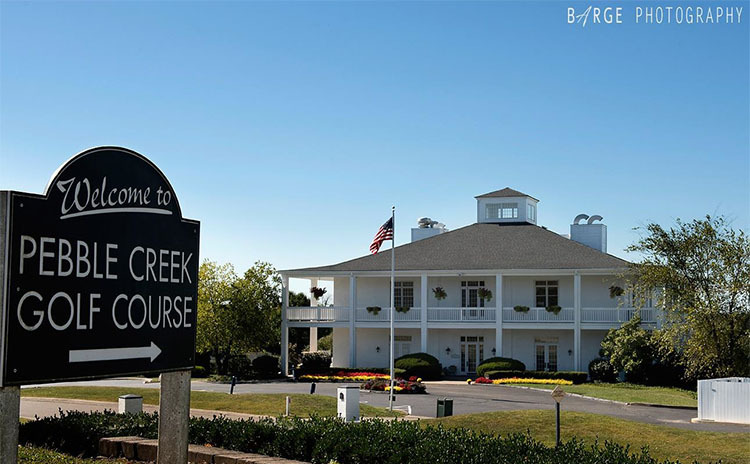 Pebble Creek is also a neighborhood sports bar and restaurant featuring over 20 hi-def TVs and also offers outdoor dining with breathtaking views of the golf course. Interested In Wedding & Banquets? Click Here To View Our Photo Gallery! 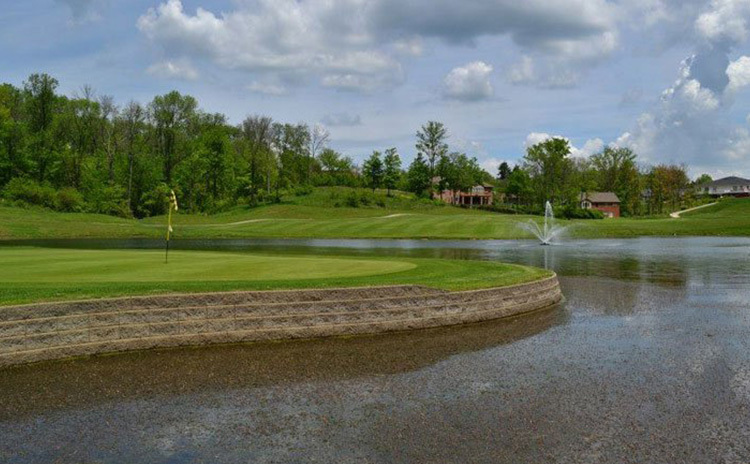 Pebble Creek is an 18-hole golf course in Cincinnati that features bent grass tees, fairways and greens, as well as several water hazards and wall to wall cart paths. The course is known for its superior greens. Pebble Creek plays from 4612 yards (forward tees) to 6144(back tees) and is playable and enjoyable for golfers of every skill level. Click here to take a tour! "Thank You" to our Sponsors. Pebble Creek would like to thank our sponsors for their continued support. If you are interested in becoming a sponsor, please call 513.385.4442 for more information. Browse our inventory and book your next round of golf online! Click here to request outing and event info!